They say a mother’s job is never done and those who are going through motherhood would all nod in agreement. Every stage of a child’s life has its best moments and challenging ones, as well. For Sanicare, makers of quality personal hygiene products, their role is to accompany mothers and children at every stage of their journey. Last June 30, 2018, Sanicare had a Play Day for both moms and kids of different age and size at the Axon in Green Sun Hotel. When you get inside the event space, you’ll immediately feel that this is not your typical play date. Around the venue, booths were set up to highlight different life stages so moms and kids can choose the best fit for them. Mommies that carried their newborns towards the baby booth took home hand-painted souvenirs. On the same side of the fence, the toddlers enjoyed designing their own eco bags. Kids also had a blast with arts and crafts, as they made their own cotton bud animals, cotton ball sushi and paper towel headband stands. The adults definitely did not miss out on the fun, as they posed for pictures by the lavender and cotton ball installation. Safe to say, every person got busy with an activity immediately. 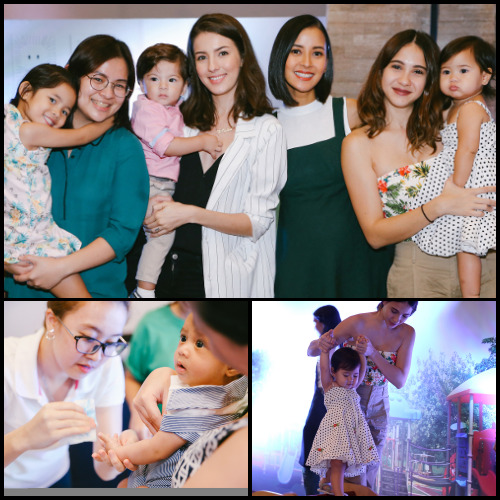 It was not all play, as moms also had some recreational tip-sharing with celebrity mom and Sanicare’s first brand ambassador, Bianca Gonzalez-Intal. Bianca, who is expecting her second child, is also celebrating her first anniversary as the brand’s ambassador. 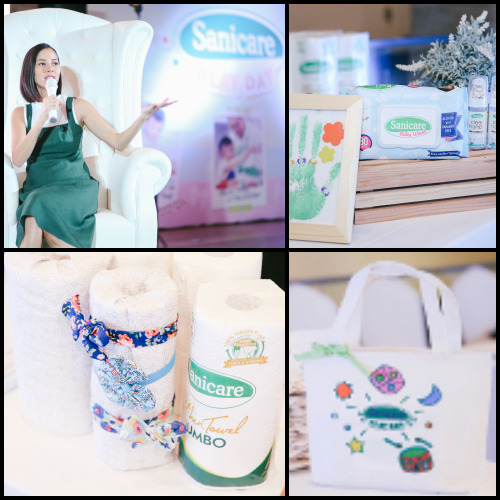 She shared how Sanicare products have been by her side during most of her life – from living with her parents to becoming a parent herself. So with great pleasure and delight, she presented an informative and relatable video in line with Sanicare’s Life Stages campaign. The #OneLessWorry video communicated the idea that our worries change and increase with each life stage. It perfectly captured Sanicare’s commitment to being everyone’s hygiene companion in all of life’s adventures, giving everyone one less thing to worry about. By providing quality hygiene products designed for all life stages, Sanicare makes sure that every hygiene woe meets its match. From producing unscented wipes fit for a baby’s sensitive skin, to creating a disposable toilet seat cover that you can carry around wherever you go, it shows how each product is carefully crafted to answer every family member’s needs at every stage of life. Sanicare will continue to pursue innovative personal hygiene products that will be every Filipino’s companion in their life journey. For moms, having a go-to hygienic choice is a respite from all the decisions they have to make their families everyday. That is really all Sanicare aspires, to give its customers one less worry at every stage of their life. To watch the full #OneLessWorry video, visit Sanicare’s Facebook page or visit this link: https://www.facebook.com/sanicare.ph/videos/ 1447813675364992/.